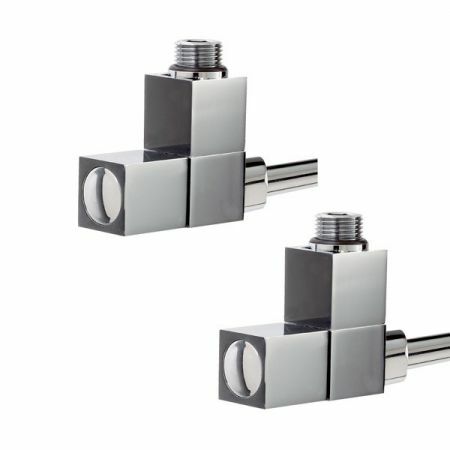 These square bodied radiator valves have a superior chrome finish that can only be really appreciated in the flesh. The square shape reflects the environment perfectly and the design gives the impression that they're constructed from 3 square blocks. One of these blocks turns the valve on and off. This version is of the angled variety most commonly partnered with radiators or towel rails that have side outlets.